House flies, false stable flies, blow flies, blue and green bottle flies, flesh flies, and face flies are just a few of the types of flies bothering homes and living quarters, and all can be killed quickly and easily! Inside the disposable fly trap is a bait that flies find irresistible. The attractant disolves and activates when water is added to the bag; this lures the flies into the trap through the yellow cap and then they drown in the water. 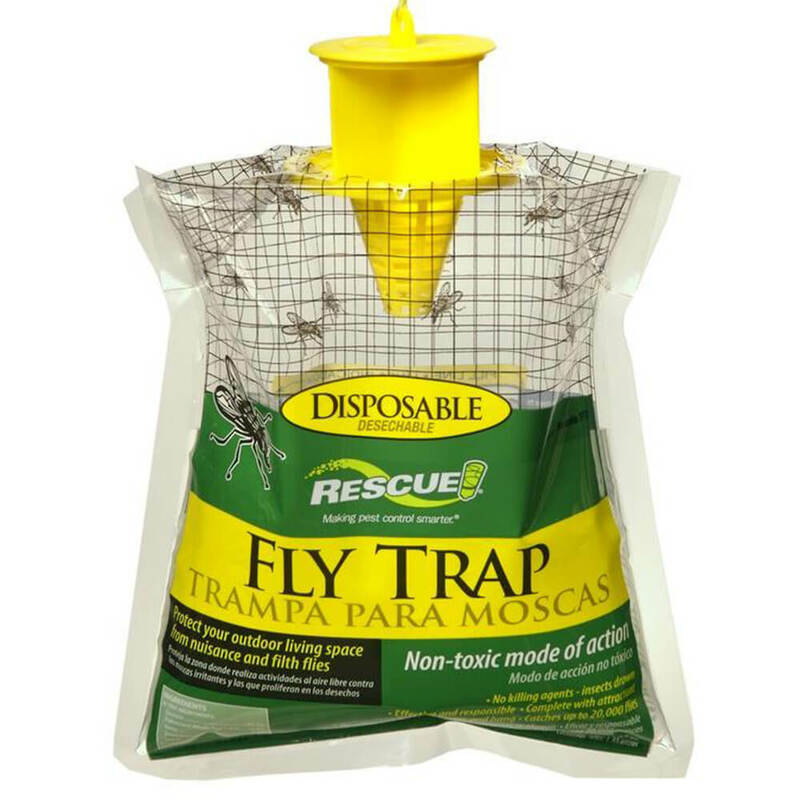 The trap is designed to store the attractant powder inside, so touching the bait or dead flies is not an issue. The bag is completely disposable and catches up to 20,000 flies. Cut plastic on top cap at dotted line. Pull open and attach string or wire. Add water to fill line on bag. Don't allow trap to dry out. Hang outdoors where flies are a problem. When full, close cap. Dispose in trash. Keep out of reach of children, pets and livestock. If swallowed, drink water to dilute. Do not induce vomiting. In case of eye contact, rinse with water for 15 minutes.